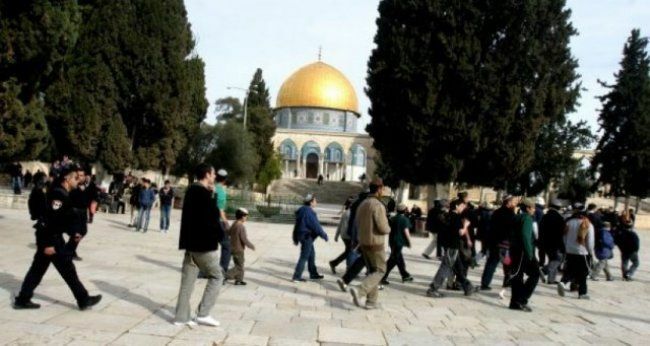 Settlers resumed their provocative incursions into the Al-Aqsa Mosque on Sunday morning, under heavy guard from the Israeli occupation forces. Our correspondent in Jerusalem said that the raids are taking place through the Mughrabi Gate, through small and consecutive groups, and carrying out suspicious tours in the blessed mosque, amid repeated attempts to establish a Talmudic rite inside it. This is typical bias from the PA. But what most people don’t realize is that much of Palestinian media copies Wafa news releases verbatim, without attribution, pretending it is theirs. So “our correspondent” also the correspondent for Palestine Today, Palestine News Network, Zamn Press (who called it “local sources”,) and others. When the media simply copies the official government “news,” then the media is not very free.